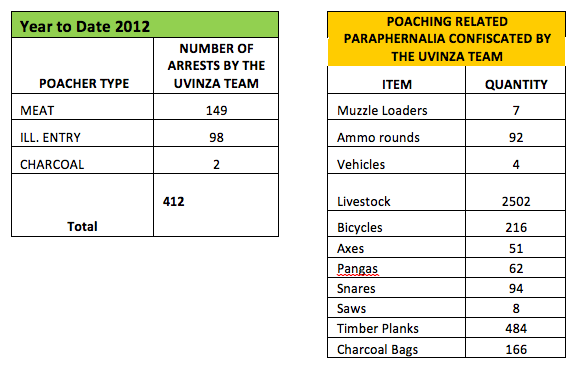 The Uvinza team, led by the confident patrol commander Joseph Kimaro, has continued to have a major impact in the Uvinza Open Area. 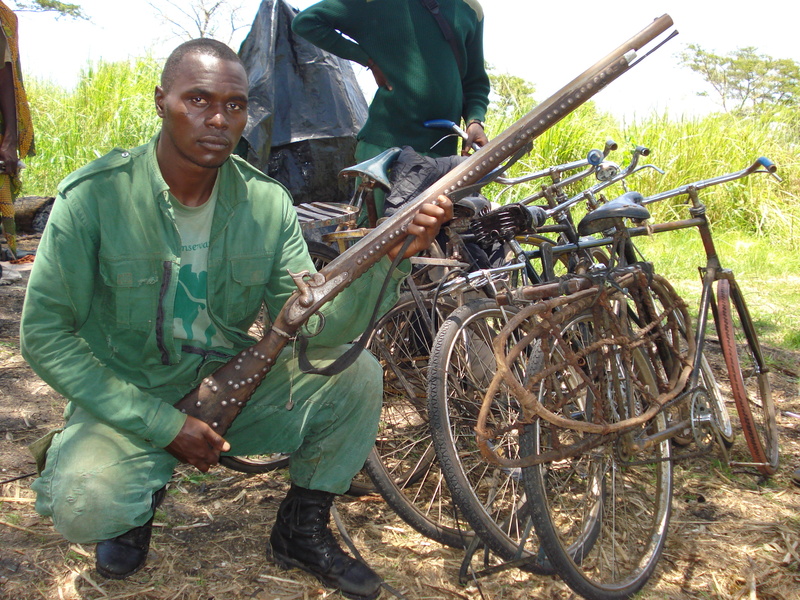 A black powder muzzleloader used in a poaching incident that was confiscated by the Uvinza team. The bicycles in the background were used by the poachers to travel the long distance into the game reserve. Through good intelligence, the Uvinza team located a notorious muzzle loader production factory in Asante Nyerere village. This resulted in two highly successful arrests, the confiscation of six muzzle loaders and all the tools of the trade, as well as the closure of the factory. In a combined operation with the police in Tanzania, the Uvinza team confiscated 21.5 kg of ivory on-route to the Burundian border by acting on intelligence they personally gathered. A notorious ivory dealer was arrested in the process. Operations have resulted in a total of nine firearms being confiscated, including automatic weapons. 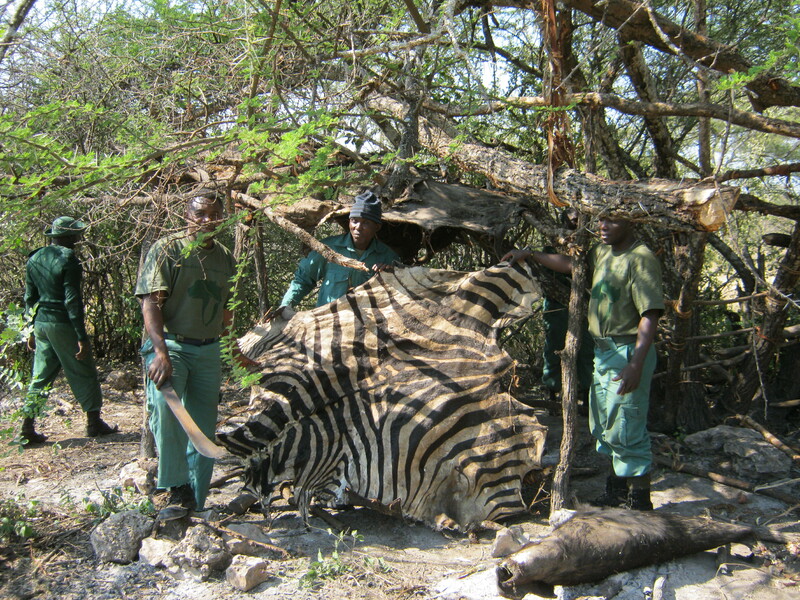 In addition, a total of 412 arrests have been made, including meat/ivory poachers. 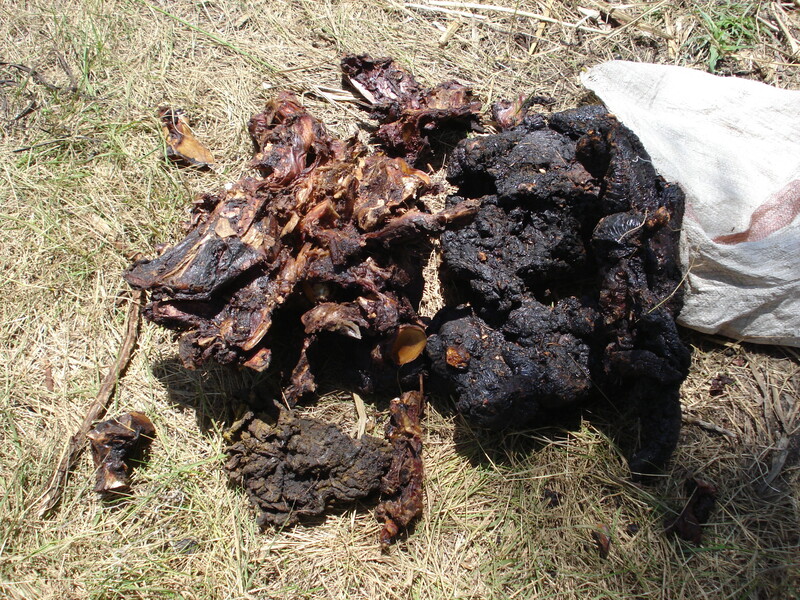 Bush meat confiscated during an arrest. The meat is smoked on racks suspended over a fire to preserve the meat prior to being transported out and sold in the markets. 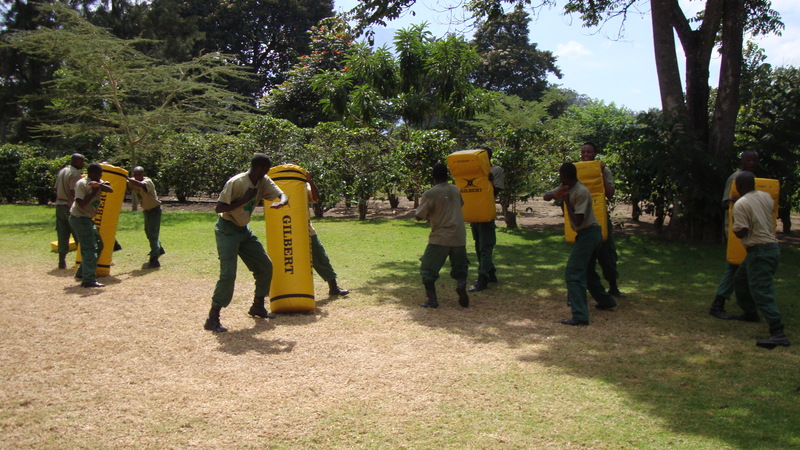 As it is always our policy to protect and develop the FCF rangers, FCF recently implemented an internal rotation program that enables the rangers to rotate through all the FCF teams in order to strengthen their performance across operational areas. This has resulted in Willbroad Sikay and Kirabasta Gidafrey joining the Uvinza team and replacing the very capable Baraka Gunje and Juma Shabani who have taken their knowledge and strengths to other FCF operational areas. 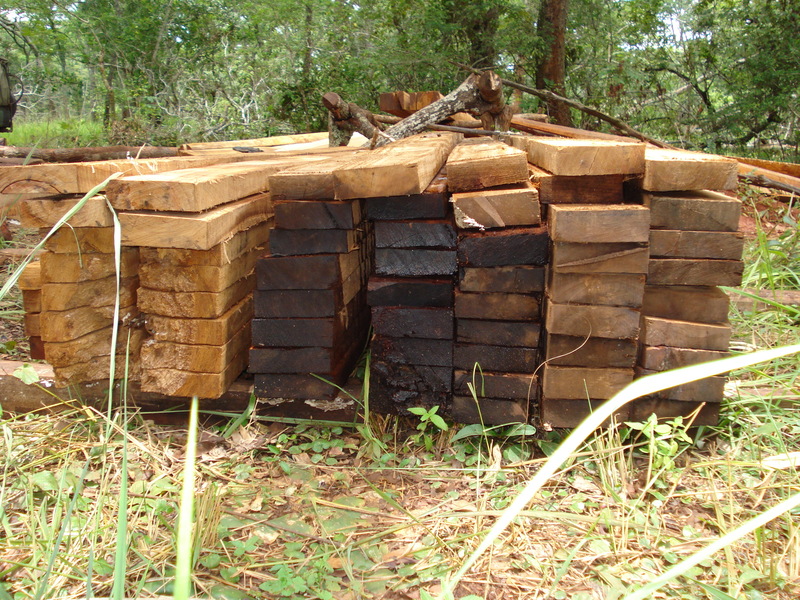 Hardwood timber destined for India or China that was confiscated by the Uvinza team. This illegal activity is having a serious impact on the loss of biodiversity in the area. 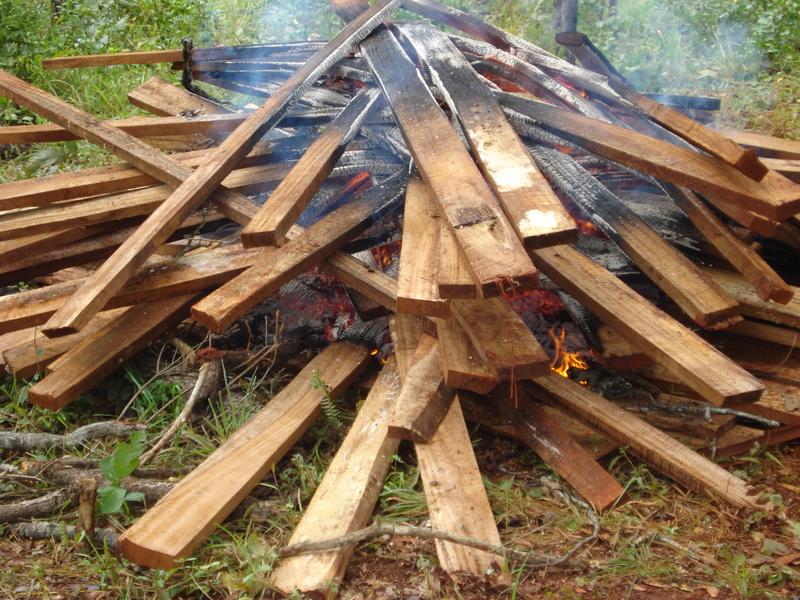 Confiscated hardwood timber that has been piled and then burned to prevent it from being sold back into the system. 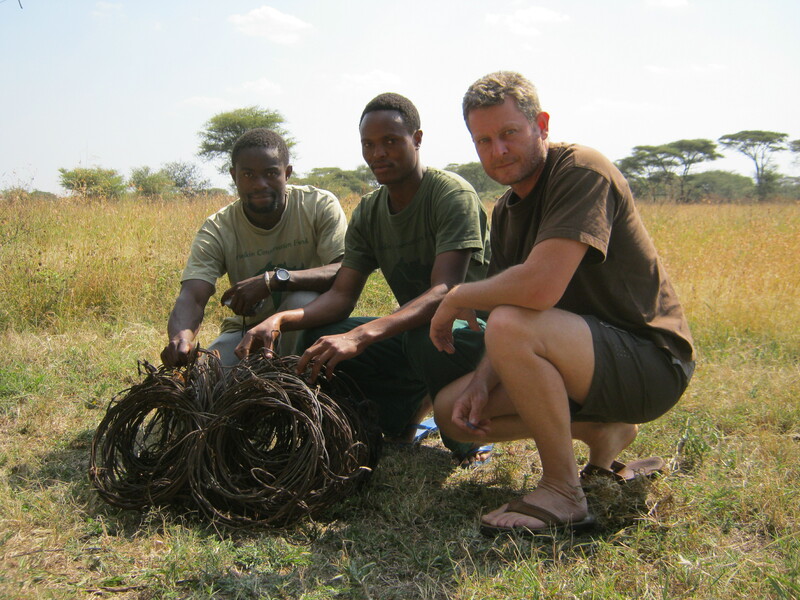 Keith Roberts joined Doug Braum and Boniphace Haule in Maswa recently for some important anti-poaching operations. Boni’s training as our microlight pilot, under Doug’s expert tutelage, is progressing very well. Boni is now sitting at 204.2 hours, of which 101.6 hours is in the front seat, a remarkable achievement in extremely trying flying conditions. Over the course of the past year, FCF has recorded over 24,000km of flying. 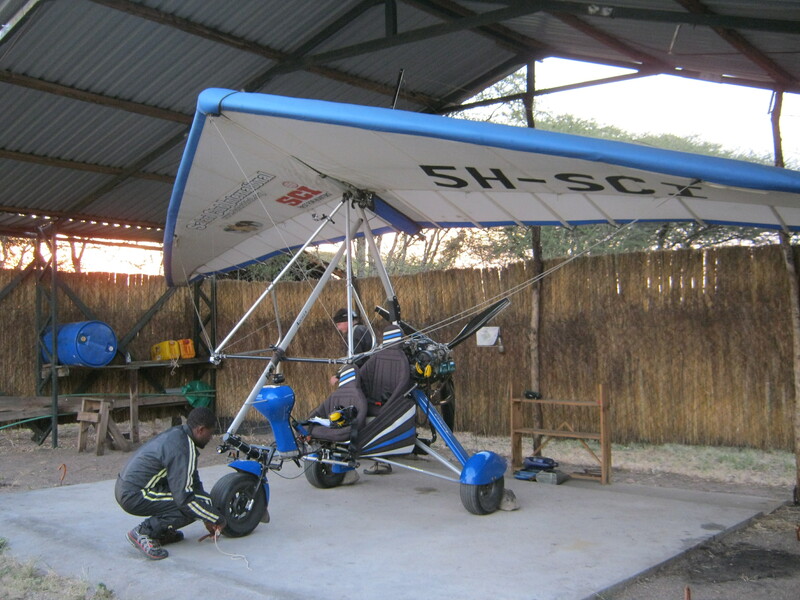 As one can imagine, this brings quite a bit of wear and tear to the microlight which makes the pilots’ ability to service and carry out essential maintenance in the bush critical to the program’s ongoing success. 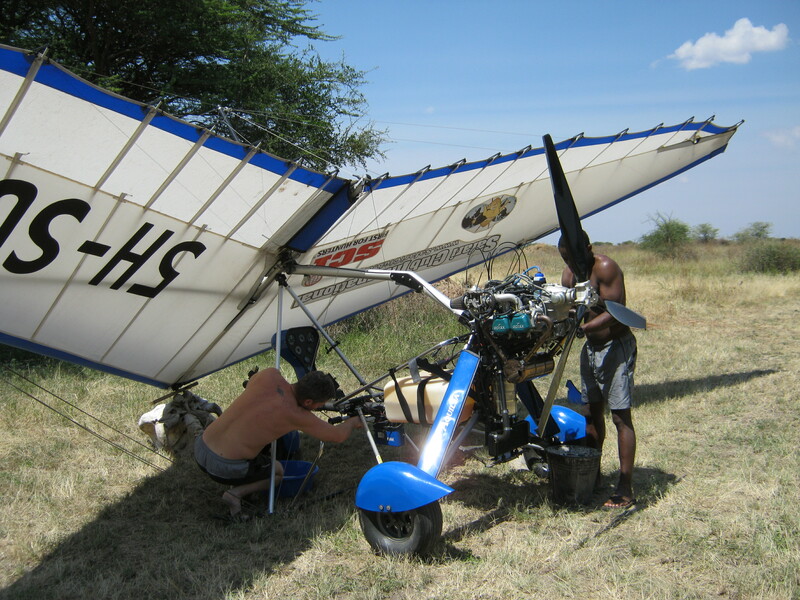 Pilots not only have to know how to fly but also need to possess the skills to carry out essential engine and frame maintenance on the microlights. Additionally, FCF’s pilots fly many more hours than most other conservation groups under extremely hard weather conditions, hence the wear and tear on the planes. Both Doug and Boni are trained in maintenance procedures for the microlights, which is rare since most pilots do not have the ability or need to conduct maintenance and service overhauls. With these skills, living in a remote and dangerous area, and commanding anti-poaching operations, these guys are a rare breed! Poaching camp being destroyed after ground teams were talked into the camp by the pilot from the microlight circling above. 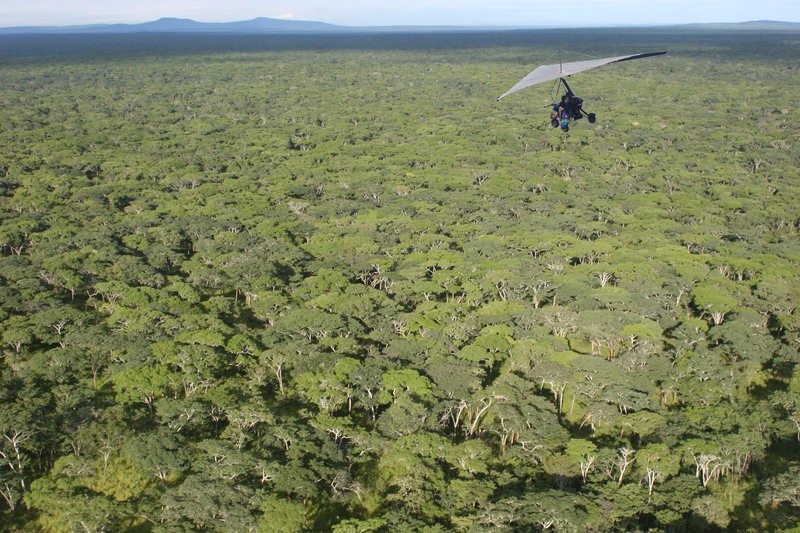 The microlight provides a unique aerial platform that makes it a valuable asset to conservation management. 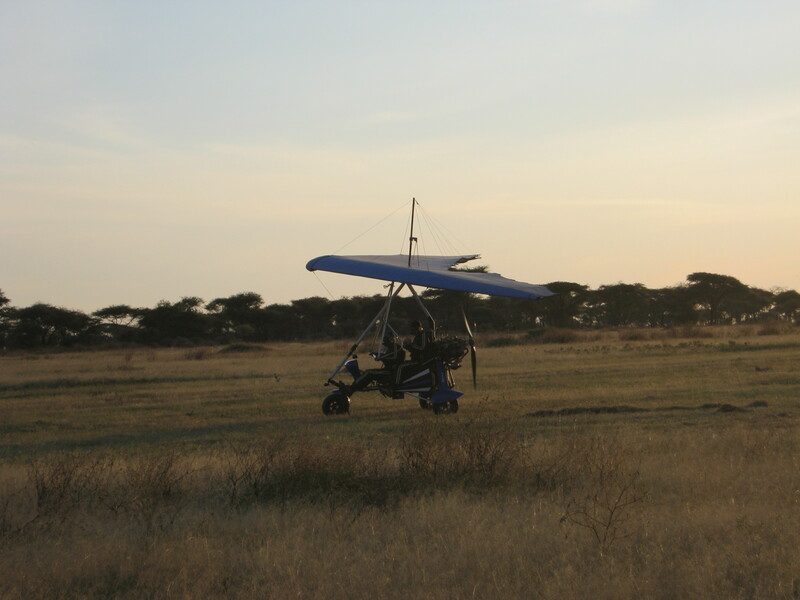 However, for the microlight to be an efficient conservation tool, the pilots must have an excellent understanding of both wildlife management and anti-poaching. Doug and Boni communicate what they have observed from the air (i.e. 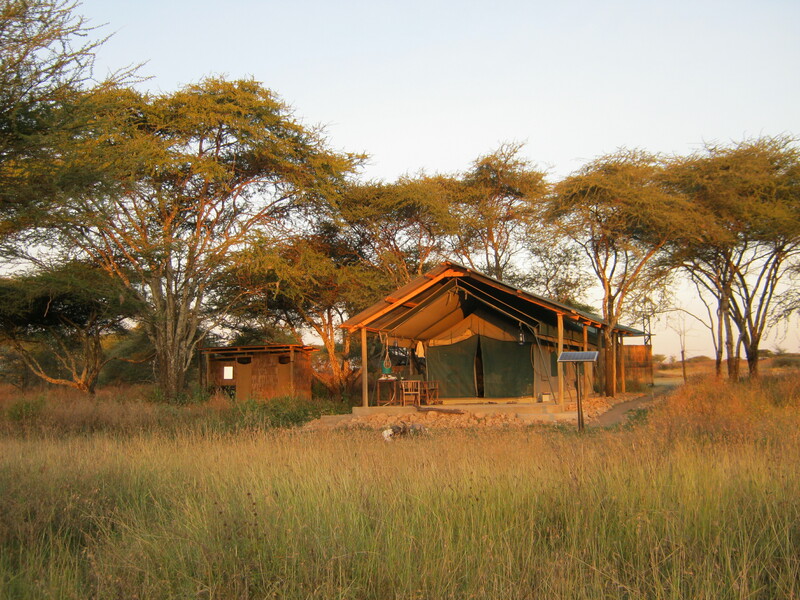 poacher camps, snare lines, wildlife concentrations, etc.) to the ground teams and game reserve management, and offer advice on how best to achieve the anti-poaching objectives (i.e., arresting poachers, removing threats to wildlife, etc). The effectiveness of their hard-working team is very apparent by the results achieved when they are in an area. Doug and Boni, for all of your hard work and dedication to conservation, we salute you! 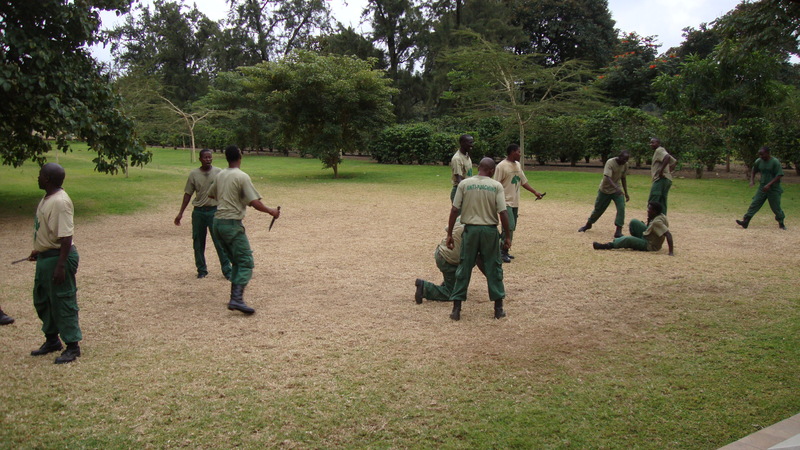 Ken Oesterreich, Defensive Tactics & Close Combat Instructor, arrived in Tanzania from Germany on June 5th and the first group of 20 FCF and Mwiba rangers started their training the following day. Ken is pleased with the progress to date of the rangers that have previously trained under him. 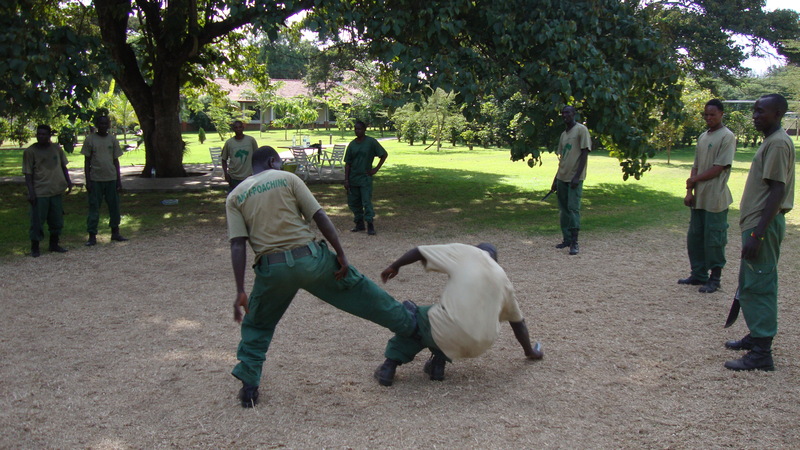 The FCF/Mwiba rangers, being unarmed, have to be highly trained and proficient in defense tactics, control and restraint in order to stay safe. These men face a very high risk when conducting anti poaching operations, but this training provides essential skills in the fight against the poachers. Each group receives 24 hours of instruction spread over three days before re-deploying to the field. Keep up the good work team! What was your professional experience before FCF? Worked for government and non-profit organizations in wildlife management, anti-poaching and environmental education. What is your current role with FCF? What is your favorite thing about living in Tanzania? Ability to walk in some truly wild areas where the opportunity to get lost is still a reality. Exploring the intricacies of life. A small group of us pioneered anti-poaching patrols deep into the Moyowosi swamps using canoes and wading. On one of the early patrols, eight of us entered the swamps in three canoes. It was extremely tough going, yet despite the constant onslaught of mosquitoes and being chased by hippos, we still took time to appreciate the great beauty and diversity of this unique ecosystem. It wasn’t long before we encountered our first group of poachers. After a chase across the water, our fiberglass canoes easily out ran the poachers’ heavy hollowed out log canoe. Little did we know how bad the poaching was in the swamps and one arrest followed after the other. By the end of two days, we had a small problem on our hands – we had thirty poachers that we had apprehended, but only eight of us and our three canoes. I have found that a plan born out of necessity, especially when one is stuck in the middle of nowhere and heavily outnumbered, is a plan that will succeed. Instead of sinking the confiscated canoes, we decided to incorporate them into our patrol. Before long, we had all thirtypoachers sitting in a flotilla of ten log canoes. Positioning an FCF canoe to lead the way, one in the middle and another as the tail-end Charlie, we slowly worked our way out of the swamps and to our temporary base. From there, the poachers were ferried by vehicle to the nearest police station 80km away. Which FCF project are you most excited about? The potential for small scale renewable energy systems to address poverty in the communities surrounding protected areas. The impact of climate change on the livelihoods of the rural communities surrounding protected areas and identifying mitigating measures that address the predicted increase of human pressures on these protected areas. The role that renewable energy systems can play in poverty alleviation programs. Developing “best practice” guidelines for the use of microlight/ultralight aircraft and drones/UAVs in anti-poaching and wildlife management projects. Thanks for all your hard work Keith! Through the student sponsorship program in all our target areas, we have gained experience and learned a great deal in regard to the insurmountable challenges and inadequate quality of the education system in Tanzania. It is impossible to overstate the degree to which the education system is behind – in terms of infrastructure (classroom, teacher’s houses, laboratories, and libraries), number of teachers, academic resources, quality teacher training, to name a few. Nowhere is this more true than in the remote and rural areas neighboring the reserves where we work. 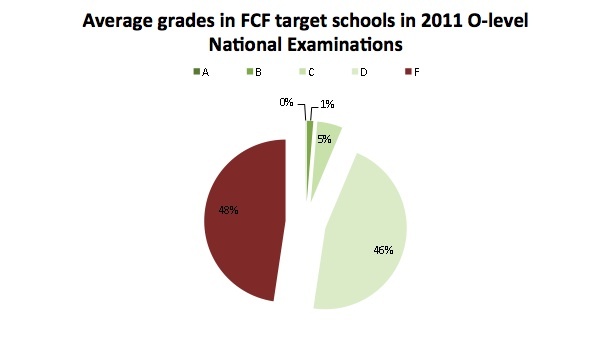 About half the students in these public schools failed the O-level (10th grade) national exam in 2011 and only 6% (those with averages of C and above) will qualify for A-level (11th&12th Grade). In these selected schools, out of 1,608 students who took the O-level national exam at the end of 2011, only 102 will be eligible for high school. These results are characteristic of the whole country though especially severe in rural areas. Those who go on to become primary school teachers come almost exclusively from the group who only achieved D averages at O-level but nevertheless are eligible for teacher’s training course. 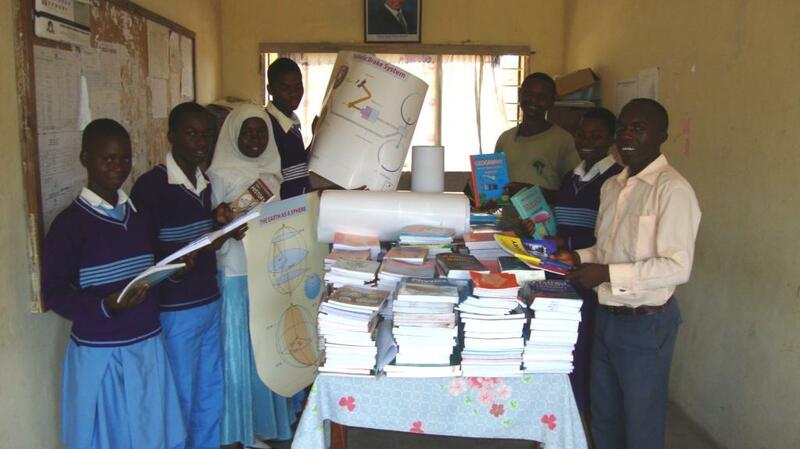 This perpetuates the cycle of poor primary school education, the foundation of education. Focusing on sponsorship alone without addressing the need for improvement of creative learning and academics is ineffective. In response to these great needs, FCF has involved school boards and district education departments in prioritizing the needs of the schools. This involvement assists FCF in making decisions on how best to direct funds in order to have the most impact in improving education. Currently, we are receiving proposals from selected public schools and implementing projects that provide library and teaching resources, laboratory apparatus and chemicals for science studies as well as other renovation projects. Incoming proposals highlight many opportunities for our involvement. While we are overwhelmed by the needs and know that we cannot bear the burden of the feeble education system – we are seizing the opportunity to make an impact in the quality of educational experiences for the children growing up in these communities. As these dynamic new programs are launched, FCF is eager to make strides toward improving the education system in Tanzania and investing in its future leadership. 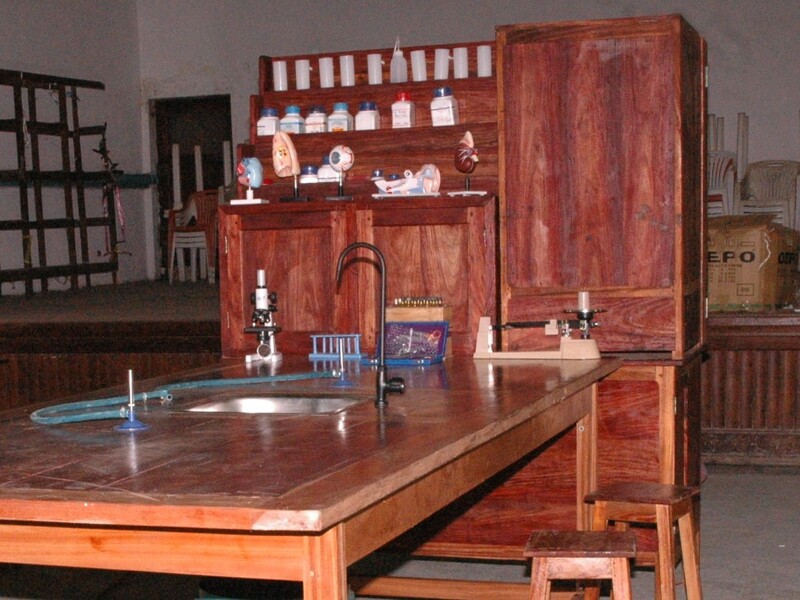 In particular, FCF is hoping to support a project that involves construction of a mini-science lab that would provide the basic science needs for an O-level secondary school at a cost of less than $10,000. To learn more, please visit our website at www.friedkinfund.org or contact us at info@friedkinfund.org. Meet one of the true stars behind FCF! We thought it would be fun to profile a few FCF employees over the coming months so we can all get to know them. 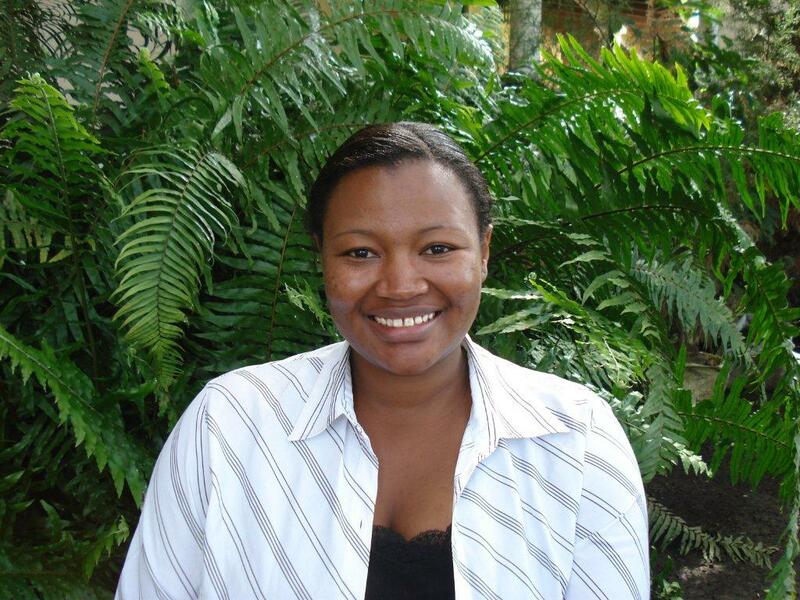 Meet Aurelia, the Administration Officer for FCF! Born and raised in Arusha. My parents are originally from Marungu on the slopes of Mt Kilimanjaro. I finished high school in 1997 and joined the College of African Wildlife Management Mweka for three years, then worked for a Safari company as a Reservations Manager. I am the first born in a family of six. Now I am married and have been blessed with two lovely girls, Aida 3 years old, and Karima, 1 year old. What is your favorite thing about living in Arusha? The weather. It is never too hot or too cold. I could say every time when we traveled for fieldwork while at the College of African Wildlife Management Mweka. I was at the college for three years and every time we went out for fieldwork was a new experience. I got to see so much of Tanzania, places I had never seen before. But the most exiting one was when we were on foot carrying out animal count on the floor of the Ngorongoro Crater. Just the thought of walking in the crater was unbelievable, despite the tick bites I enjoyed myself! Before the end of the count we got chased by a female elephant. It took a while to gather everyone on to the truck. Luckily no one was hurt. What is your greatest passion(s)? Which FCF project you are most excited about? Posted by Friedkin Conservation Fund	| May 14, 2012 | Categories: Uncategorized | Comments Off on Meet one of the true stars behind FCF! Over the weekend, microlight pilots Doug and Boni reported that they located three poached elephants in Maswa Game Reserve. An investigation is underway and we’ll keep you posted. Thanks to our team for their continued work in combating this horrible problem across East Africa.